“Dentistry is not a job; it is a way of life. I grew up with it, I learned the benefits of it as a small fry, and have continued to be a student of dentistry and will be for life. I am always learning and modifying my techniques and striving to provide for my patients in a fashion that no one else can. Dentistry combines a helping profession with creativity like no other field. I feel certain that our dental practice changes the way our patients look at dentistry with the comfort, confidence, and knowledge we treat them like family. Dr. Matthew Kayne completed his undergraduate education at Union College in Schenectady, New York. Continuing in the footsteps of his father, Dr. Kayne completed Ivy League training at the University of Pennsylvania School of Dental Medicine, where he earned his Doctorate of Dental Medicine. He is well experienced and able to handle the most straightforward or complex scenarios with comfort and concern for his patients’ well-being. Dentistry is an evolving medical science, with constantly changing techniques and materials. 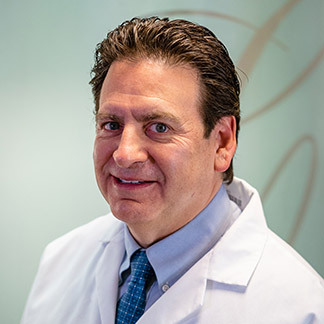 For his entire career, Dr. Kayne has been dedicated to providing his patients with the most complete diagnosis, logical treatment options, and the most comfortable, time-tested craftsmanship and care that dentistry has to offer. To stay abreast of what is current in implants, aesthetics, cosmetics, and general dentistry, Dr. Kayne attends continuing education through world-renowned organizations such as the Dawson Institute, Spear Institute, and Passaic County ITI Study Club. Dr. Kayne and his wife Lori have been married for 29 years. They are blessed with three children: Jon lives and works in San Francisco, Bryan works in Jersey City and lives in NYC, and Allie is a college student and considering her career options. Dr. Kayne’s free time is spent with his family, working out, cooking, and volunteering in the community.